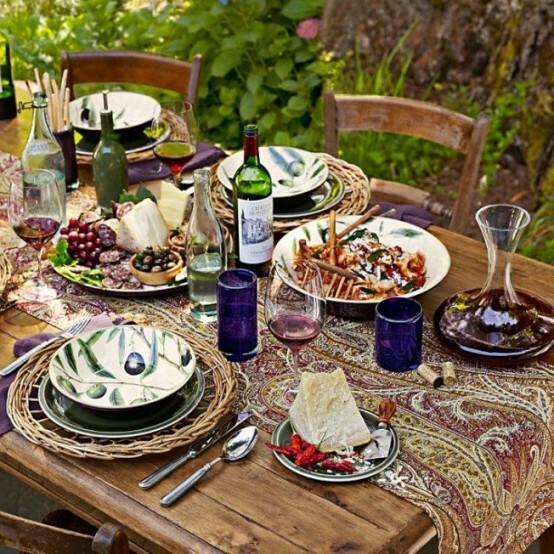 Having outdoor meals is fantastic as it’s not only the meal itself but also merging with nature and enjoying fresh air and sun. 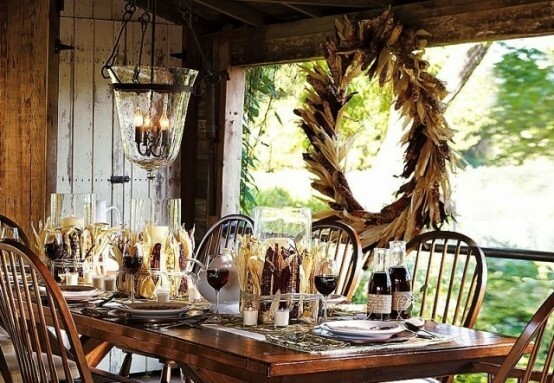 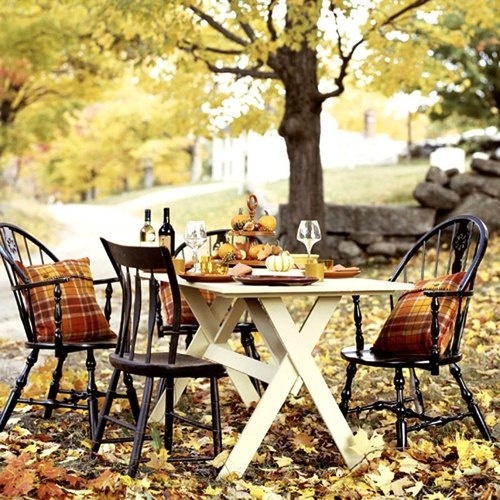 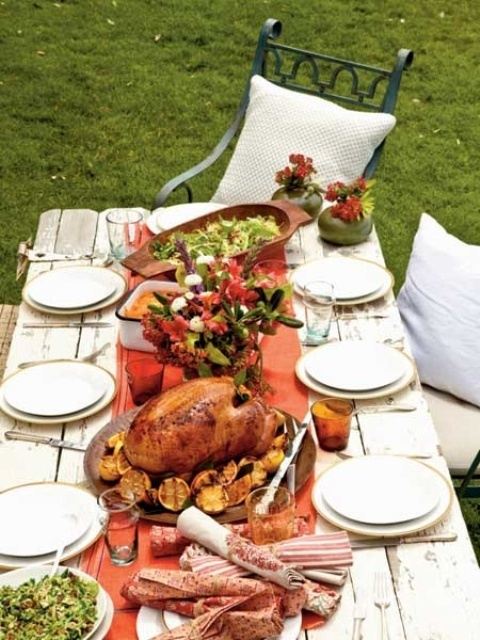 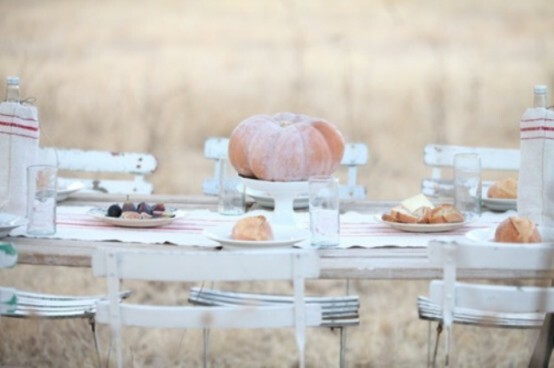 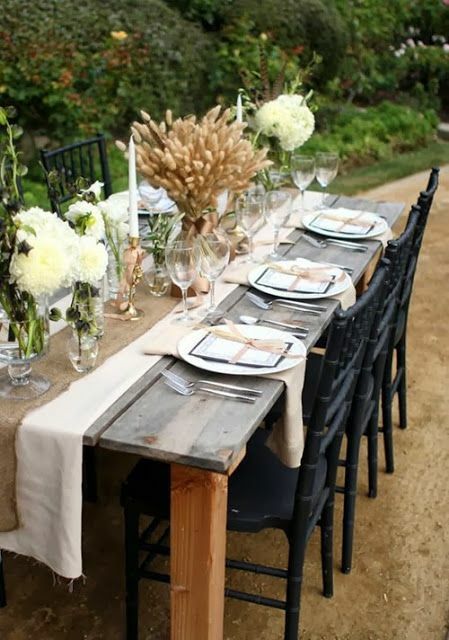 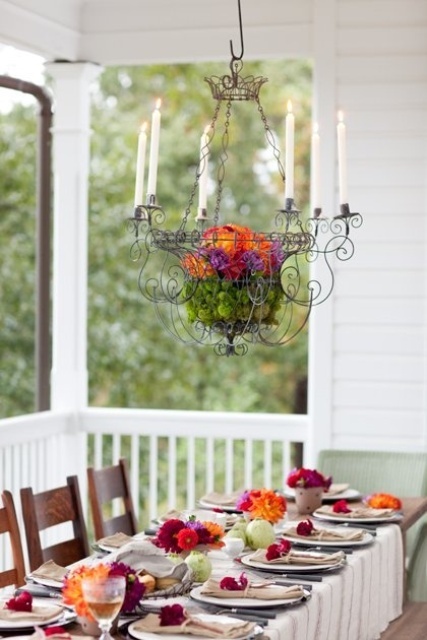 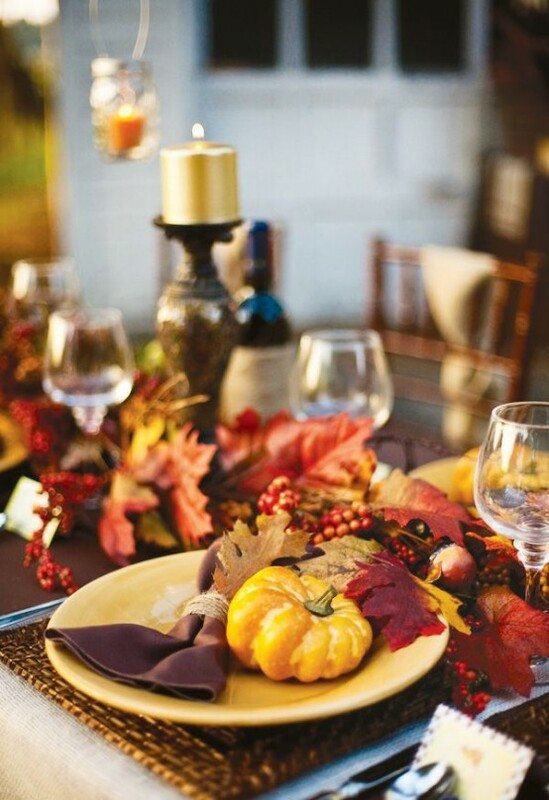 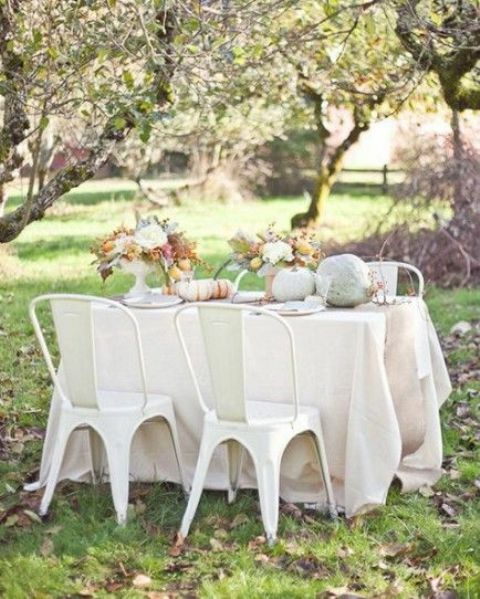 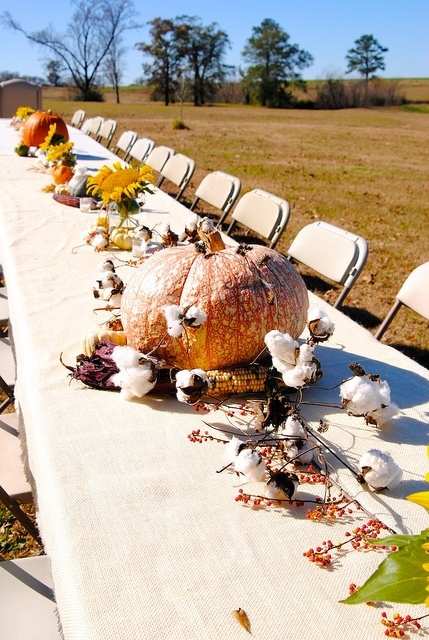 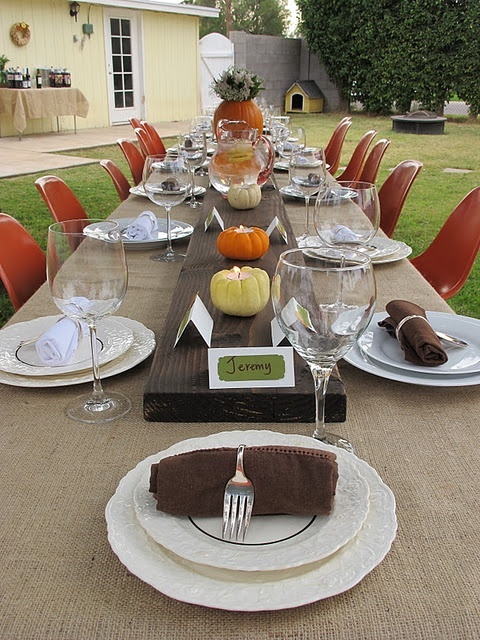 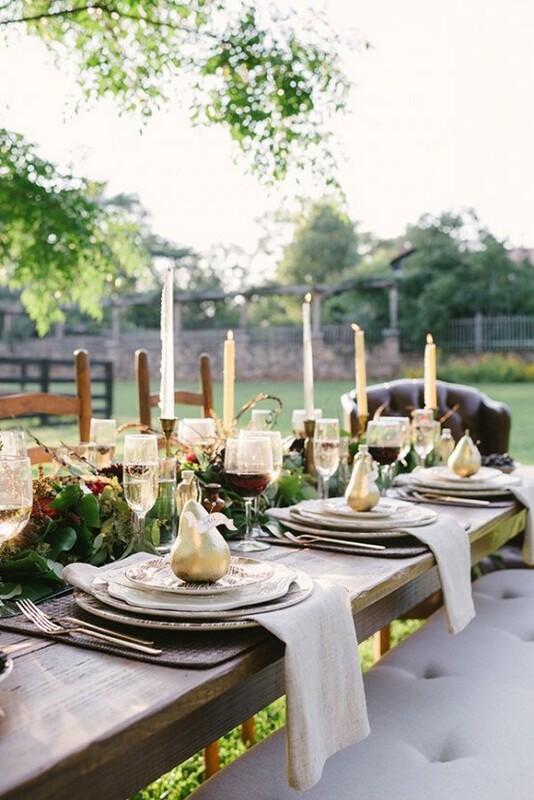 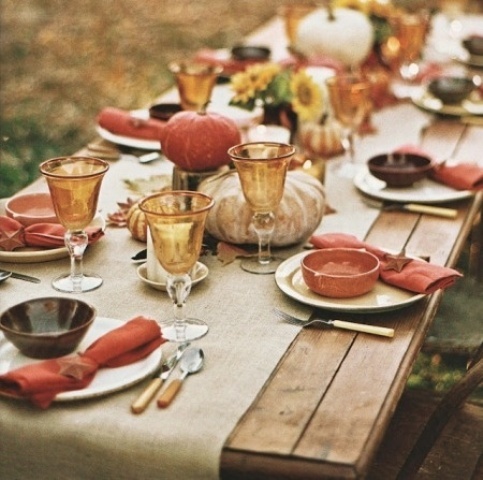 An outdoor Thanksgiving dinner – what can be better than that? 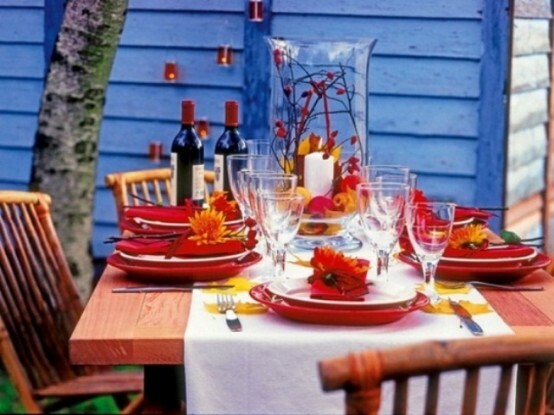 If the climate and weather allow you to do that – that’s the best idea, I think. 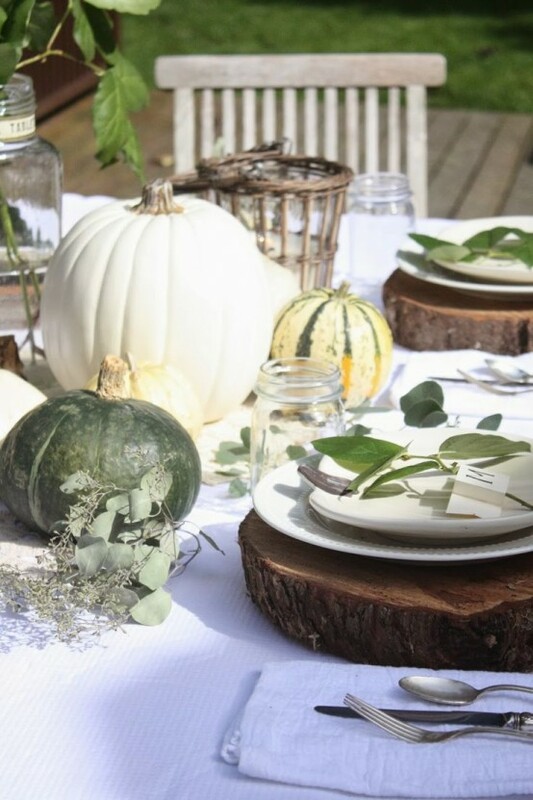 The trees, bushes, grass can serve as a decoration, and then add pumpkins, candles in glass candleholders and some other decorations depending on the style you choose. 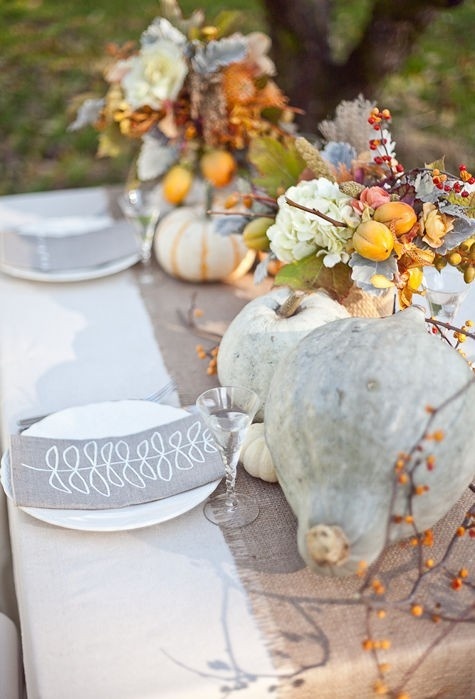 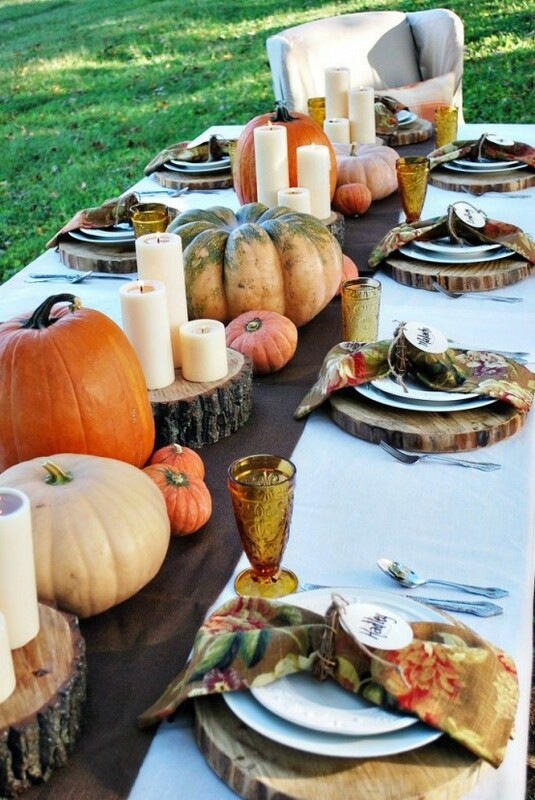 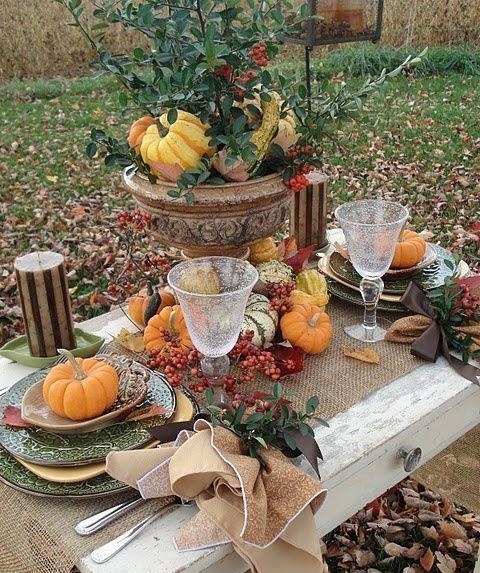 For rustic style add veggies, fruits, leaves and wood slices; for glam style choose gilded pumpkins and candleholders. 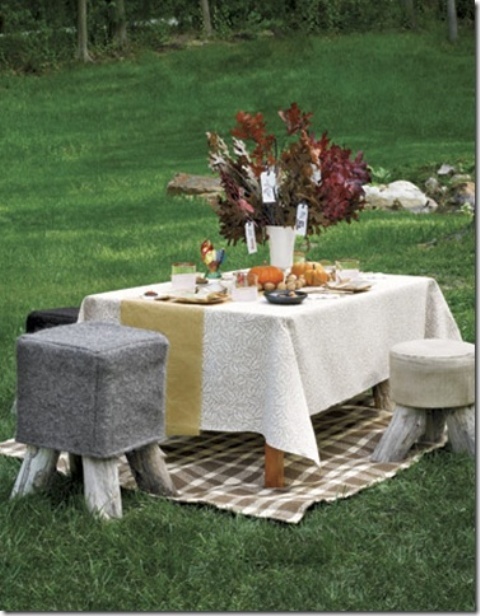 Checked blankets and fur cushions will make any table setting cozier and the meal warmer.